This snippet of video is from the Berlin Philharmonic’s annual outdoor concert at Berlin’s Waldbühne at the end of June, 2015. They’re playing the always awesome Main Title from Star Wars by John Williams. A couple of things to notice: the violist at the back appears to be using a highly unusual bow (it truly could saw the viola in half if one wasn’t careful! ), and French hornist Sarah Willis appears to have done a loose Princess Leia side bun. Love those Berliners! Wow. Last night (Monday) was quite a night for the Oregon Symphony and the 2600+ lucky audience members on hand for John Williams’ first appearance with the Oregon Symphony in its 118 year history. I cannot remember, other than the OSO’s Carnegie Hall debut in 2011, a concert which so galvanized the orchestra in such a positive way. It’s worth taking a look at why this was so. First of all, what makes a visit by John Williams so special? Well, what if Aaron Copland were coming to conduct? Or Beethoven? In my opinion, Mr. Williams is in that league in terms of his own genre of music. There is, aside from the great Viennese film composers of the early part of the twentieth century – Erich Wolfgang Korngold and Franz Waxman – there really is no greater influence on succeeding generations of film composers than John Williams. His ability to encapsulate the critical elements of every scene – and the entirety of the zeitgeist of an entire film – is legendary. Plus, he never fails to write melodies that are instantly recognizable as his, and which remain in the ear long after the film’s visuals have faded from one’s mind’s eye. So, when someone like this comes to conduct one’s own orchestra in some of his greatest scores – it is a majorly big deal. The next factor is that the music is tremendously well-written for the orchestra. Williams clearly has a grasp on what every instrument in the orchestra is capable of, and not only that, but in what role they sound and function best. Cellos – big romantic melodies. Brass – heroic fanfares. Violins – sweeping, high tessitura runs. Violas – motor rhythms. Etc… His music is not easy, but it almost never fails to lie well on the instrument. This is something that some of the greatest composers (in any genre) often have not been able to master completely. This having been said, why was this such a great experience for us in the orchestra? Well, it’s hard to say, precisely. Chemistry between a conductor and an orchestra, as I’ve said before on this blog, is akin to alchemy. There is a bit of the dark arts involved – a conductor can have all the goods, but they still end up being less the sum of their parts in front of one particular orchestra. Whereas with another ensemble, a great partnership can develop almost instantly. But from the moment Mr. Williams set foot on the podium, the orchestra was electric. The first downbeat brought some remarkable sounds from the orchestra. Sure, things took a few minutes to settle – nerves were on edge, it was a Sunday evening – but the ebb and flow of the conductor/orchestra relationship soon began to take on a beguiling rhythm of its own. He’s a skilled conductor – he was the pops conductor of the Boston Symphony for 13 seasons. He knows when he needs to give a nudge, and he knows when to step back and let us play. He never jabs an orchestra, he nudges it in the way he wants it to go. As a result, his scores achieve an organic flow that is – pardon the pun – cinematic in scope. They simply unfold, each succeeding melody growing out of those which precede it. As a member of the string section, which Williams treats to many wonderful themes and effects, I cannot remember the last time, except perhaps under the baton of Yakov Kreizberg, when we have sounded so wonderfully supple and lush. It was akin to the sound of a golden age Hollywood studio orchestra. And it was a hell of a lot of fun! Another aspect of Mr. William’s visit was his generosity in terms of how he treated the orchestra. He was genuinely appreciative of our enthusiasm for his being here and for his music. 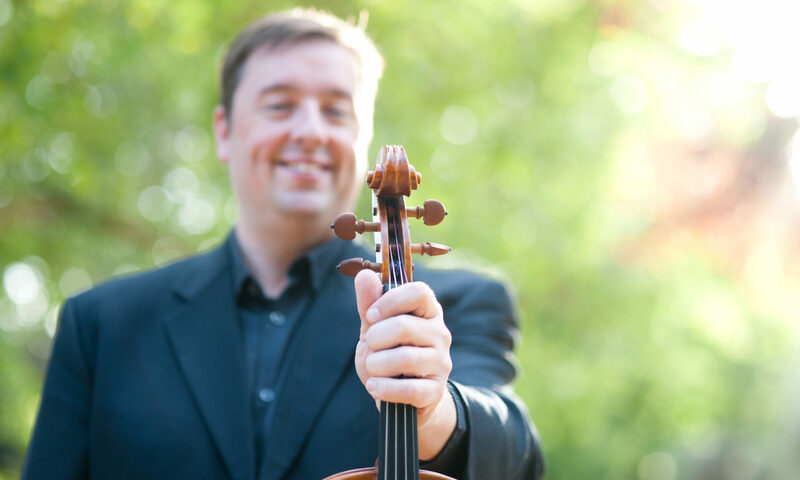 He gave heartfelt thanks to soloists after the conclusion of each piece, most notably to English horn player Kyle Mustain and principal cellist Nancy Ives. He treated us as if we were his orchestra – a partnership of equals – and we repaid him with some of our most passionate and virtuosic playing. Lastly, his visit was just the right thing at just the right time. It’s been a tense and tough couple of years for the orchestra in terms of finances, and the players have been as involved in the partnership of making the orchestra strong and vibrant as they ever have in its history. So, to have this time with the preeminent film composer of our time was a morale boost of the highest order. So, enough of my thoughts. Were you at the concert? What were your impressions? Did the orchestra sound different to you? How? Light up the comments section below, won’t you?